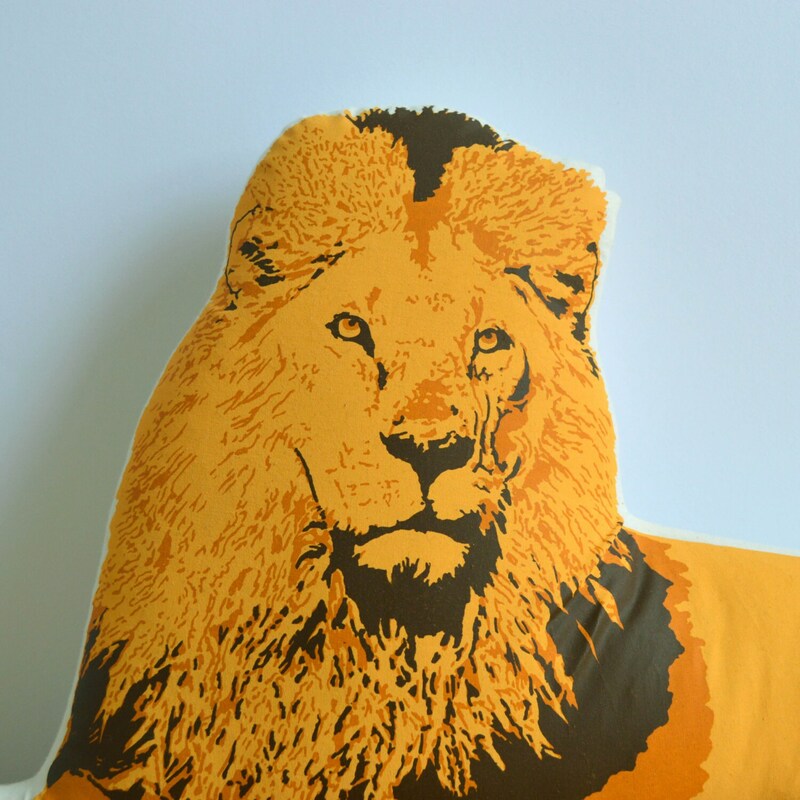 Rawr! 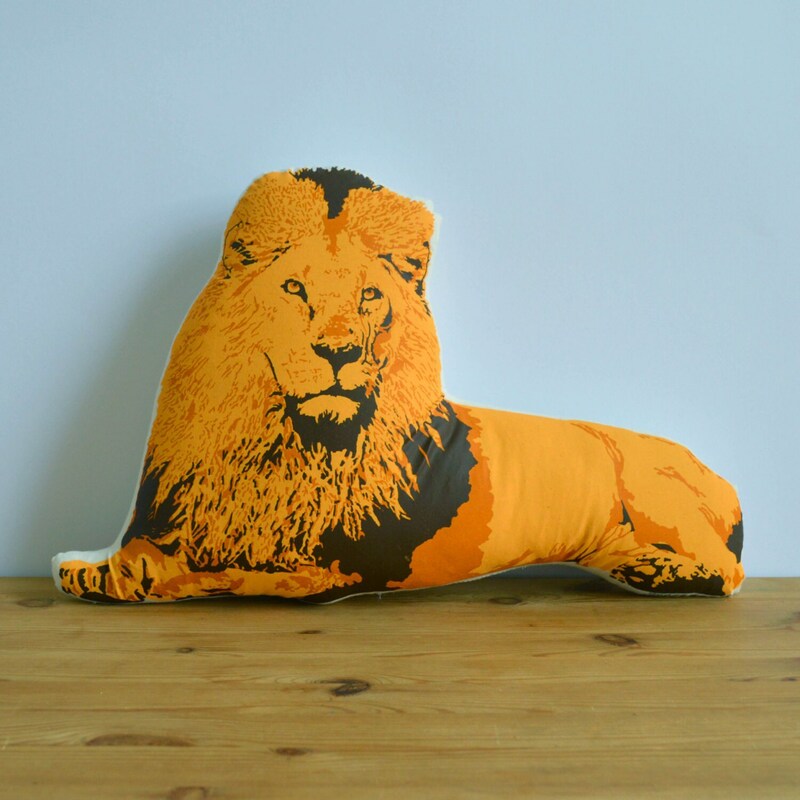 This king of the jungle will be proud to call your couch home. 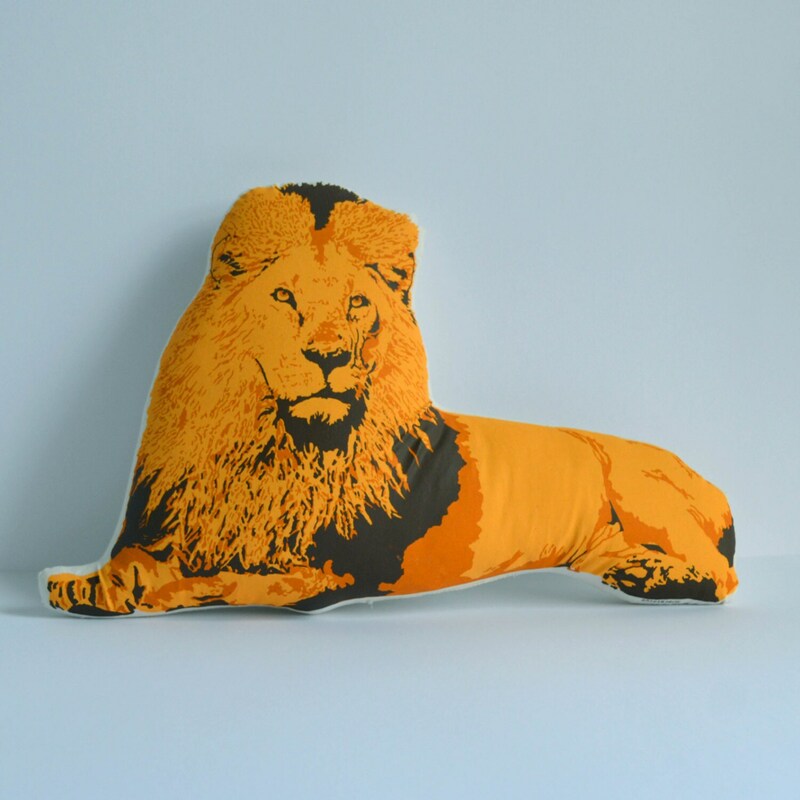 This pillow is hand printed, stuffed, sewn and is perfect to add that pop of color to your couch or children's bedroom.